Eddie Jones may be feeling a sense of déjà vu as his tenure as England coach reached a new low on Saturday with a fifth successive Test defeat, a run of form similar to the end of his four years in charge of Australia more than a decade ago. 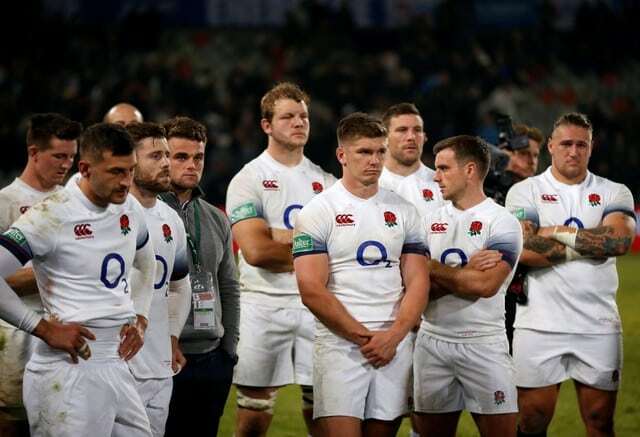 England lost 23-12 to South Africa to surrender the three-game series in Bloemfontein on Saturday with the final match to come in Cape Town this weekend, where another defeat would signal the side’s worst run of form since 2006. The Rugby Football Union (RFU) has come out in support of Jones in the wake of the latest loss, while the coach has blamed the series defeat on injuries, a rejuvenated Springbok side and the difficulty of playing tests in South Africa. When Jones was sacked as coach of Australia in December 2005, he had lost eight of his last nine Tests with a side that was also beset by injury. After this tour, England will come up against the Springboks once more in the first of their home autumn internationals at Twickenham in November, followed a week later by world champions New Zealand and then what should be a home banker against Japan. The opportunities to end their dismal run immediately though are not getting any easier. “There is no magic solution here,” Jones told reporters in Bloemfontein. “We’ve got 25 (players) sitting at home who aren’t available for selection. These (the touring party) are the best players we’ve got. Jones feels that the situation is not as dire as results suggest and that the team is not far off where they should be. England have historically struggled in South Africa, winning three of their 15 Tests, and Jones says the difficulty of playing in the country should not be underestimated. “Each moment in South Africa is hard because of the way Tests are played here,” he said. Jones won 24 of his first 25 Tests in charge of England, including a joint world record 18 in a row, and would have felt untouchable. But he will know from experience that coaches are judged on the present and he needs to engineer a quick turnaround in results or find his fall from grace as rapid as his spectacular rise.